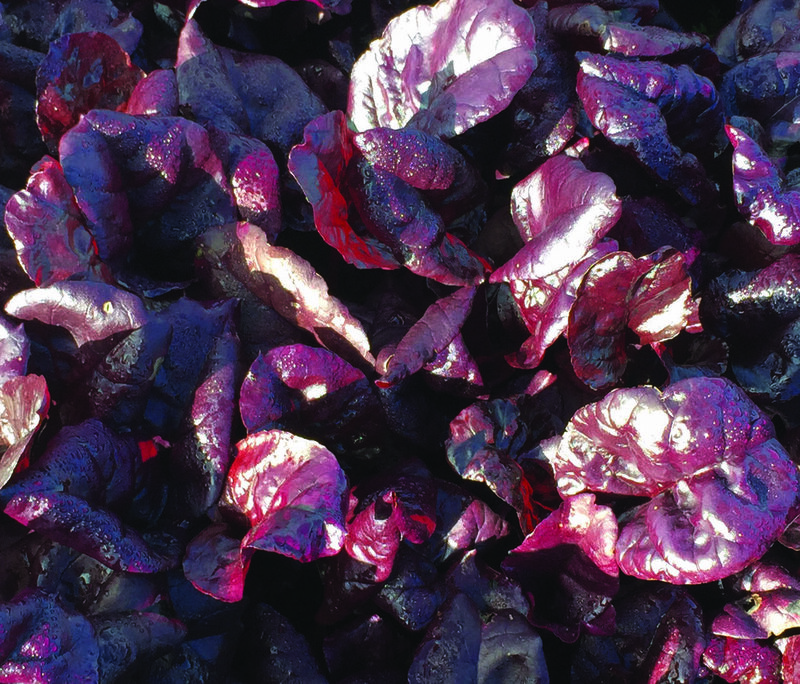 Our current beet assortment detailed here includes a range of different leaves for which we have seed in stock that meets our high quality standards in relation to germination and purity. 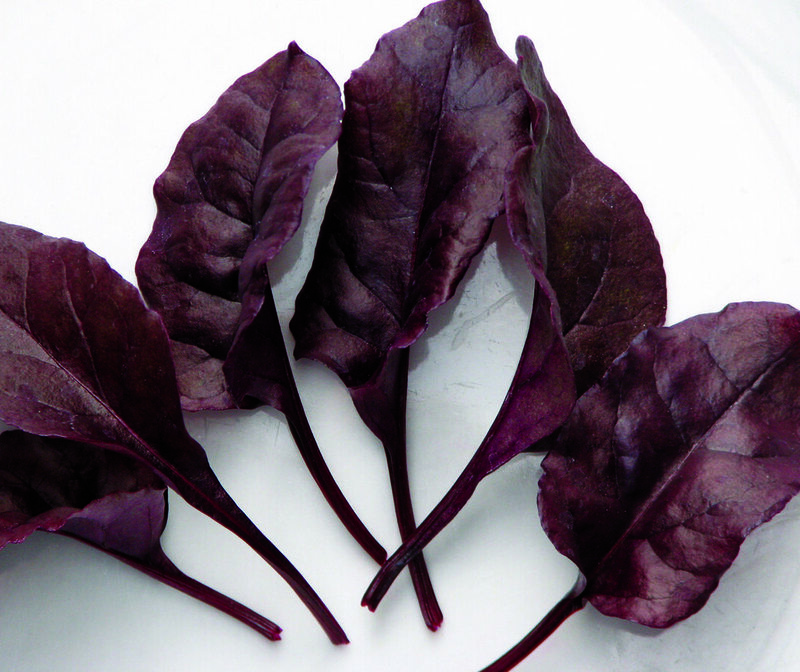 CHERRY BLOOD is dark red beet suitable for inclusion in salad mixes. CHERRY BLOOD is coloured on both sides of the leaf making it ideal for pillow packs where a small number of leaves gives a strong colour effect. 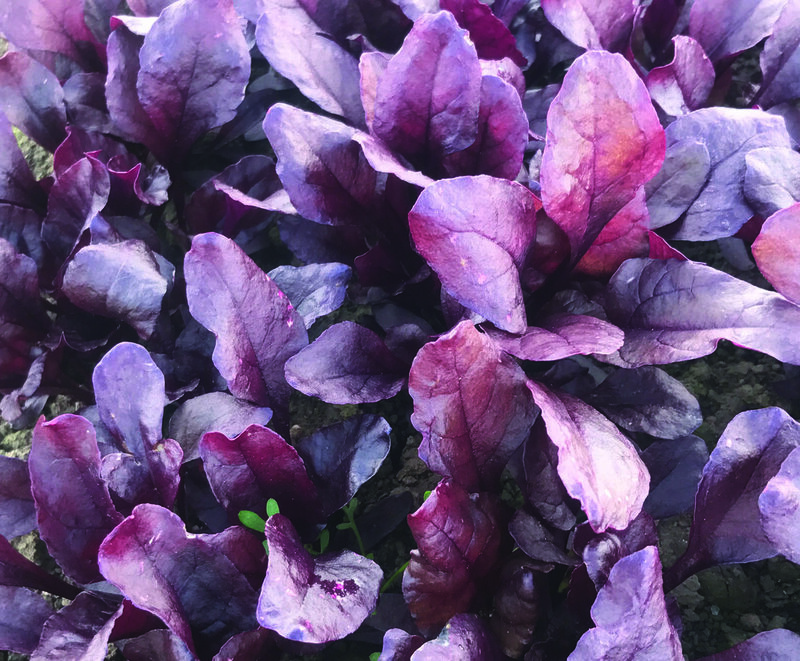 A sisterline to Blush, CHERRY BLOOD has slightly less vigour in the cold but shows even stronger tolerance to Pseudomonas than Blush during periods of high pressure such as late Summer/early Autumn.